very Impressive! Congratulations. They say you can’t judge a book by its cover, but sometimes I buy a book just because of the cover. This is one of those! Congrats, Alica! Did you design it yourself? Thank you- its all coming together! WOW! I love, love, love her hair and how it blends with the background phoenix. Well done and I would be so excited if I were you. I know you are! Thank you Patti! I keep sliding between excited and nervous. Awesome! Looks beautiful and intriguing. Congratulations, Alica! Love the vivid colors. That’s an awesome book cover, and what makes it even better is that your husband painted it for you! That makes it super special. Wow! Thank you Lynn- it was amazing watching it come together. I think it’s wonderful! It would make me stop and really want to open it – congratulations! LOL- you’re so sweet August- thank you! You and your dh make a great team. Big congratulations. Thank you Roz I’ll have to keep him around now LOL! That’s great. Love the colors also. Very eye-catching! Congrats and best of luck with future sales. hi, my screen name is briteeyes32000, and i wish to learn how to publish my own e-book. I am currently writing an AU harry Potter story and have been told by several people that as long as i have a disclaimer saying that the original stuff doesn’t belong to me, that i can publish it. So could you please send me the information on how you did it. My email address is: briteeyes32000@yahoo.com. Any help would be helpful. Thanks. I replied to you privately but I wanted to publicly stat that you cannot publish ANYTHING related to Harry Potter- JK Rowling has been lovely and supportive of fanfic, but that is completely different. While I got the courage and support from the fanfic world to try writing original fiction I have taken nothing from Harry Potter. 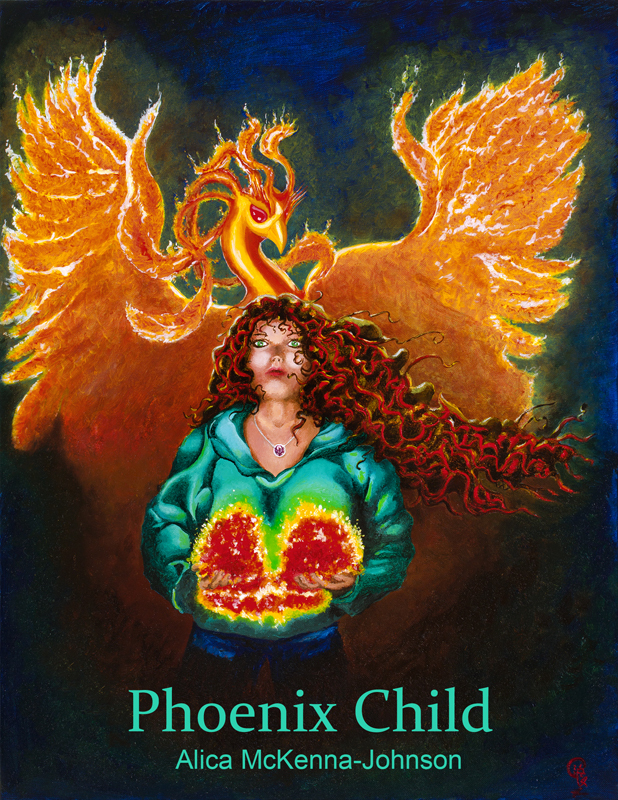 Phoenix Child is 100% original fiction. Looks awesome. Love the lady’s red hair!! Thank you- my hubby painted it and I absolutely love it!! !